We are Tom Lumley & The Brave Liaison, an indie-rock band from Cambridgeshire. Punchy, Anthemic, Infectious, Genuine, Energetic. I’ll own up to it, because who among us as a kid of our generation didn’t see Busted on TV and want to be in a band? That made me pick up a guitar and I was hooked. Each member has different influences, but the ones that ring true for all four of us are Catfish, Amazons, Nothing But Thieves and Royal Blood. It’s been an amazing couple of years as a band but supporting The Hunna to a sold out Cambridge Junction was insane. Following that selling out a headline show at The Portland Arms in Cambridge and playing Truck Festival to a mega crowd are both up there. We do this for the love of music. We love playing live shows but of course we want to go as far as we can like any band. A headline set at Benicassim would be a major one for me (Tom). 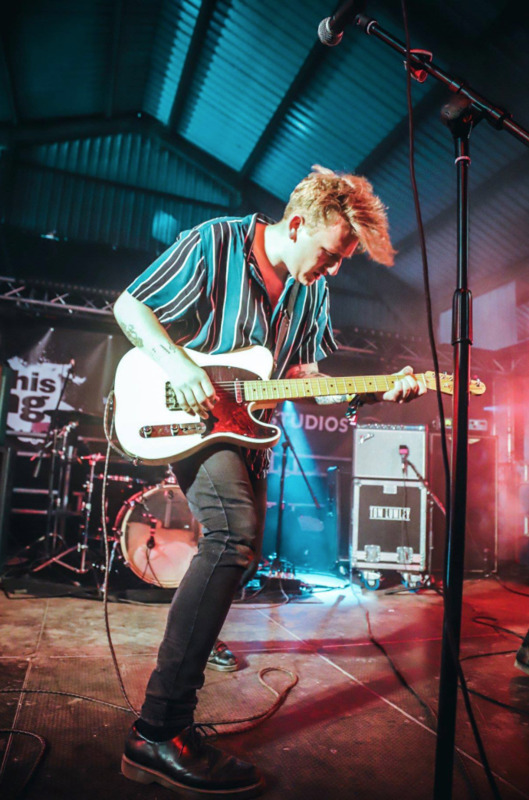 The Cambridge music scene is absolutely buzzing at the moment so we’d have to pick out our pals Among The Citizens, and The Extons who are both smashing it. We’re also massive fans of Airways too and what they’re doing, who are local boys as well! For us it would have to be playing Isle of Wight. It’s always been on the bucket list. Currently for me (Tom) it’s a tough call between Yonaka and Nothing But Thieves. They’re just phenomenal live! That being said the scene currently is so strong and we’ve seen so many amazing bands recently. Lewis Capaldi is solidifying himself as a bit of a hero at the moment, because of his hilarious online presence. Oh and because he’s smashing it in the charts also, good on him. David Beckham is a hero, come on, he is. As is Jimmy Bullard. Heroes, the lot of them. For villains we’ll just go with Simon Cowell and Katie Hopkins. (Tom) Mumford and Sons - The Cave. We’re currently on tour for This Feeling, which is followed by a BIG festival season. Then we’ve got some rabbits in the magic hat for the rest of the year, which will be revealed soon.